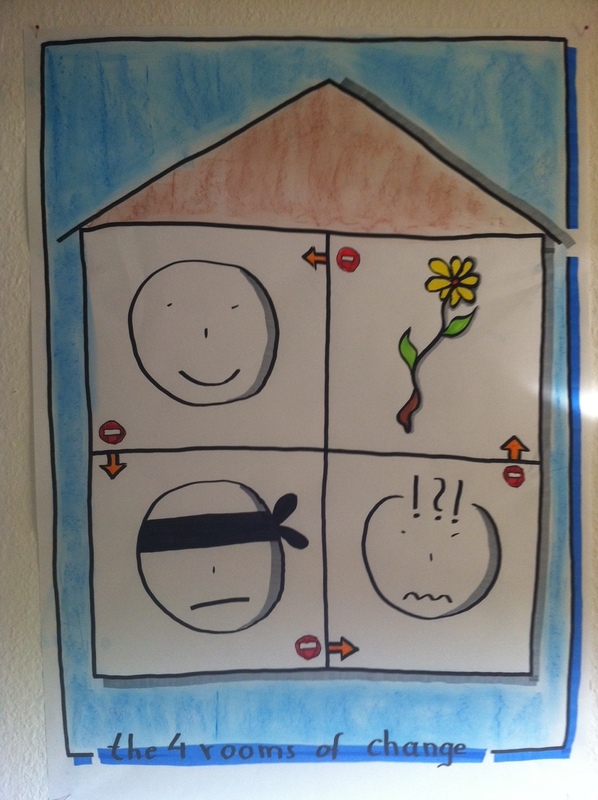 Thanks for pointing me to your article, I remembered your session at the Agile Coach Camp when reading about the “Conscious Competence” also known as learning cycle. But this model is more focused at the emotional and psychological aspects. Thanks! the 4 rooms of change | World's Best Onine Magazine to Make Work Good ! In coaching teams I have seen that just being aware of these does help. The intellectual brain part can help the emotional brain part somehow. There is much new research in this area which is fascinating. I have also seen the opposite: simply knowing – intellectually – about the stages does not exempt you from having to live through them! I think the best we can do is what you said – understand it’ll pass and by accepting that you can move on faster maybe. thanks a lot for your comment, much appreciated!